It is unusual in a number of ways. It was built by the invading country. That is, it was built by the Japanese on Thai Soil. It honours the death of those that they killed, not their own countrymen that died serving their country. 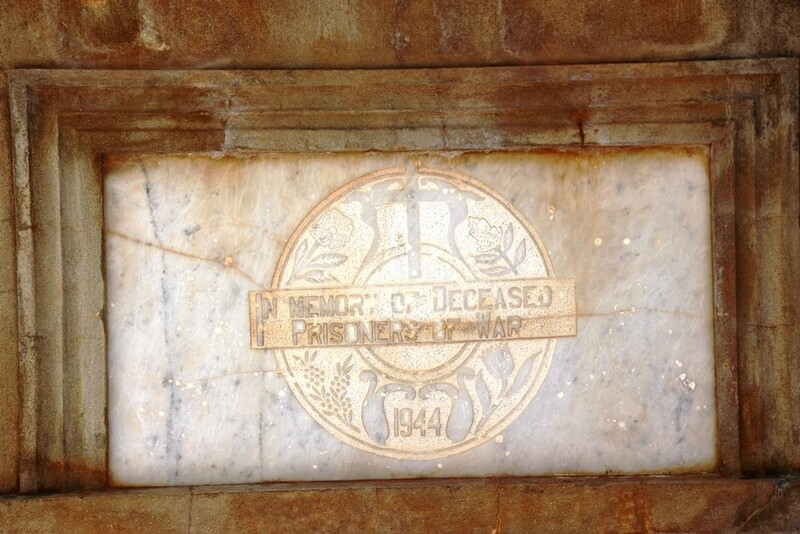 The date on the plaque is 1944. That is BEFORE the end of the second world war. Although a little unusual, I am not disturbed by points 1 and 2 in isolation. 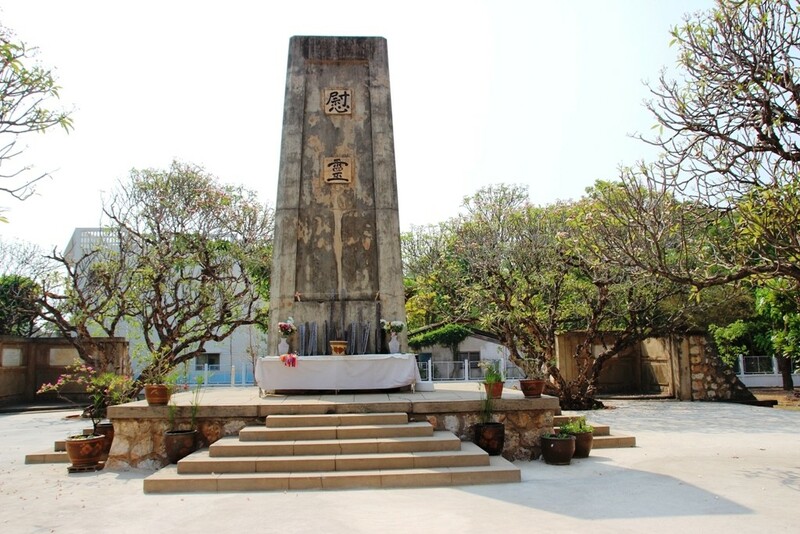 However I do find it a little disturbing that it appears (at worst) to have been built while they were still mistreating prisoners of war, or (at best) it does not include those that died at the hands of the Japanese Imperial Forces in 1945. They were still beating them, still starving them and still beheading them or marching them to their death in 1945. I quote a short extract from a Wikipedia, but I recommend you read the full article. The Sandakan Death Marches were a series of forced marches in Borneo from Sandakan to Ranau which resulted in the deaths of 2,345 Allied prisoners of war held captive by the Empire of Japan during the Pacific campaign of World War II in the Sandakan POW Camp. By the end of the war, of all the prisoners who had been incarcerated at Sandakan and Ranau, only six Australians survived, all of whom had escaped. 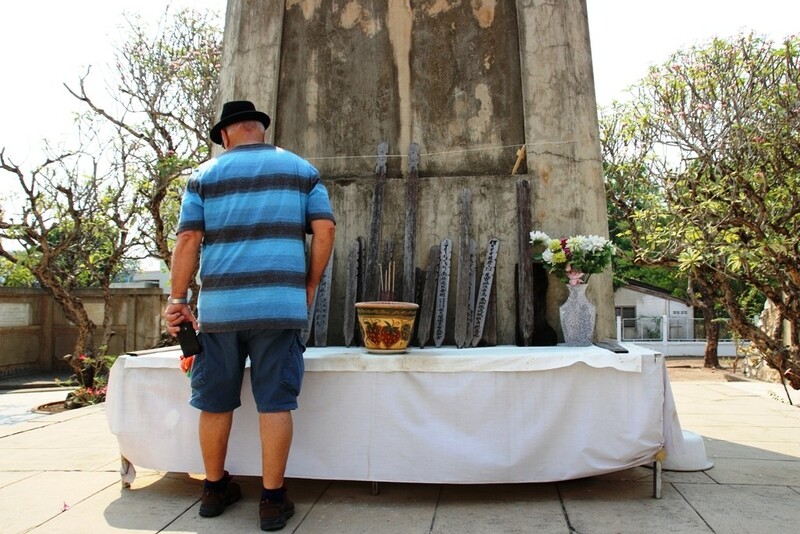 It is widely considered to be the single worst atrocity suffered by Australian servicemen during the Second World War. Now if the date of 1944 shown on the Thaiyanusorn Monument is the construction date, and I have been told it is, then after building this monument of peace they continued their atrocities for several more months, until their surrender in late 1945. It is hard to find words to describe my feelings when I saw the date on the monument and realised the possible implications. I visited in the company of Brian Martin, who is the son of Leslie Martin, a POW who slaved on the Hellfire Pass and Hammer ‘n’ Tap cuttings on the death railway. We were both a little lost for words. My big question, and I suspect a question of many, “Was this monument really built in 1944 to honour the prisoners of war that had not yet died at their hands?” I need to do further research to answer this horrid question, as I find it too disturbing to believe it was actually built in 1944. But then again, even if it was built after the war, why state just the one year rather than all the years in which they brutally mistreated prisoners of war? If you have this page open on your mobile device, just click view larger map and let Google take you there.